Marty has given up teaching and administering literary events to work full time on writing a non-fiction book about what it takes to work in the racing industry and how and why people do. Her research involves regularly watching morning track work at the Hastings racecourse and betting at the TAB. This entry was posted in NZ author, NZ poems, NZ poetry, Uncategorized and tagged Marty Smith, Poetry Shelf Audio Spot, Victoria University Press on March 28, 2019 by Paula Green. Harry Ricketts – a poet, editor, biographer, critic, and academic, is joined by editor and Victoria University Professor of English Jane Stafford to discuss his latest work. Harry has published over thirty books, including the internationally acclaimed The Unforgiving Minute: A Life of Rudyard Kipling (1999), How to Catch a Cricket Match (2006), and Strange Meetings: The Lives of the Poets of the Great War (2010). His eleventh and most recent collection of poetry is Winter Eyes (2018). Winter Eyes has been described as ‘Poetry as comfort, poetry as confrontation’. These are elegiac and bittersweet poems of friendship, of love’s stranglehold, of the streets and buildings where history played out. Come and hear the new wave of New Zealand poets in a reading and discussion chaired by poet and essayist Chris Price. These poets write works of boldness with an acute eye on relationships in the modern world. Therese Lloyd’s The Facts, Poūkahangatus by Tayi Tibble (Te Whānau ā Apanui/Ngāti Porou), He’s So MASC by Chris Tse, and People from the Pit Stand Up by Sam Duckor-Jones are diverse and exciting books of poetry. Each writer engages with language in innovative ways to explore and reimagine love, trust, intimacy, and the politics of being. Pastoral yet gritty, intellectual and witty, sweet but with stings in their tails, the poems and sequences collected in the career-spanning new book Pasture and Flock are essential reading for both long-term and new admirers of Anna Jackson’s slanted approach to lyric poetry. 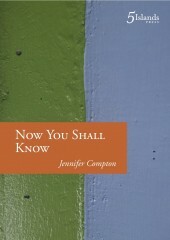 Jackson made her debut in AUP New Poets 1 before publishing six collections with Auckland University Press, most recently I, Clodia, and Other Portraits (2014). 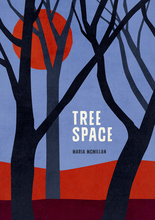 Her collection Thicket (2011) was shortlisted for the New Zealand Post Book Awards in 2012. As an academic, Jackson has had an equally extensive career authoring and editing works of literary criticism. She is joined by poet and publisher Helen Rickerby for an exploration of her career as poet, essayist and critic. Best New Zealand Poems is published annually by Victoria University’s International Institute of Modern Letters. Get ready for Phantom Billstickers National Poetry Day on 24 August by coming along to hear seven of the best read work selected for Best New Zealand Poems. Poets Airini Beautrais, Chris Tse, Marty Smith, Liz Breslin, Greg Kan, Makyla Curtis, and Hannah Mettner are introduced by Best New Zealand Poems 2017 editor Selina Tusitala Marsh. Visit the Best New Zealand Poems website (link is external) to view the full selection. This entry was posted in NZ poetry, NZ poetry event, Uncategorized and tagged Airini Beautrais, Anna Jackson, Chris Tse, greg khan, Hannah Mettner, Harry Ricketts, Liz Breslin, makyla curtis, Marty Smith, Sam Duckor-Jones, selina Tusitala Marsh, tayi tibble, Therese Lloyd on June 12, 2018 by Paula Green. Airini Beautrais and Maria McMillan have written up their poetry road trip. I am so hoping this becomes a thing – two poet friends on tour with new books. We’ve known each other since the early 2000s, and both of us have been writing poetry for even longer than that. Some common threads in our work include feminism, social justice, environmentalism, and an interest in the possibilities of form. Over a cup of tea one afternoon in Maria’s lounge we agreed that as we both had books coming out this year, we should go on tour. Maria had been working hard in non-poetry related paid gigs, Airini was battling some difficult personal circumstances, and some time on the road reading with other women poets seemed like just what the doctor (of creative writing) ordered. Somehow the tour got planned amidst the mad mess of everyday life. Sarah Laing kindly agreed to let us use her drawings for promotional purposes. Airini made a DIY poster with the help of scissors, glue, wallpaper and blu-tack. The word went out. The car got packed. On Friday 14 July Airini held a book launch for Flow: Whanganui River Poems, at the Whanganui regional museum. Maria was the main support act on the night, reading from her recently-released The Ski Flier (Airini had also read at Maria’s launch a month earlier). Jenny Bornholdt read a poem by Joanna Margaret Paul. Other local booklovers read some favourite Whanganui-linked poems. VUP publicist and talented novelist Kirsten McDougall gave a fantastic launch speech. In the morning it was coffee, porridge and a quick trip to Whanganui’s famous SaveMart ‘The Mill’. Then onto the back roads of the Manawatu with a battered road atlas and smartphones which were largely ignored. We made it over the Pohangina Saddle, and lunched on launch leftovers in Dannevirke, where we discovered a church with a possibly accidental (we think maybe not) ankh – a perfect opportunity for posing with our books. On to Napier where it appeared we had entered a time warp. Airini’s dirty old Honda suddenly looked new alongside the vintage cars sweeping around the waterfront, driven by flappers and dapper gentlemen. The thought occurred to us that it was Deco weekend. Beattie and Forbes Booksellers is a must-visit independent bookstore near the sea in Napier. They opened up on a Saturday evening so we could read, with Marty Smith and Emily Dobson. Old friends and new turned up, along with members of local poetry groups. It seems that anywhere you go in New Zealand, there’ll be a poetry group of some sort, and a reading will draw at least some of them out of the woodwork. A highlight of the evening was Emily reading a poem owing a debt to her young daughter, called ‘Thea’s ‘gina song,’ which ended ‘It’s a ba-ba-ba-ba-ba-ba-BAGINA!’ Both Marty and Emily are accomplished poets and readers and it was a privilege to read alongside them. Sunday 16th we set off from Marty’s picturesque country house, on our big drive through to Thames. The roads had opened, but were still lined with snow. We made it to our reading at Waiomu Beach Café with five minutes to spare. The café is in a beautiful spot and draws in regulars driving around the Coromandel coastal road. It’s run by Maria’s cousin Julie, who was an amazing host. Airini also met some extended family members at the reading. More FM were there, and interviewed us. We read in the outdoor courtyard, adjusting our volume according to the passing traffic. Over the road, a cop issued speeding tickets. A kereru landed in a tree alongside. We posed for more book photos under the pohutukawa, took Julie’s dog for a walk, and enjoyed the scenery. Thames seems like the kind of place one could stay in forever, but on Monday morning we carried on to Auckland. We parked the car and went to hear a reading at the Auckland Art Gallery with Steve Toussaint, Simone Kaho, Elizabeth Morton, Johanna Emeney and Michael Morrissey. Everyone read well, but a disgruntled audience member booed, hissed and heckled during question time at the end. Chair Siobhan Harvey did an excellent job of shouting him down. We looked at each other and wondered if this was how poetry readings always went in Auckland. But our reading that evening at the Big House in Parnell, with Simone Kaho and Tulia Thompson, was a very warm and homely affair. Many of the house’s 25 occupants joined us by the fire to listen and talk, and housemate Emma also read some of her poems with us. Tuesday night’s gig was Poetry Live, at the Thirsty Dog on K Road. Like the Big House, Poetry Live is an institution that’s been going for decades. We were lucky to be there for the farewell to regular MC Kiri Piahana-Wong. There was a great turnout and the venue and audience were friendly and welcoming. We read by turns in our guest poet slot, feeling like proper rockstars against the backdrop of a drum kit and stage lighting. By Wednesday we were tired, and ready to head home. We stopped for tea and toasted sandwiches in the Pink Cadillac diner in Turangi. We parted ways at the Desert Road, after which Maria had some variable hitchhiking experiences, and Airini zig-zagged back and forth around the mountains navigating road closures. We’d had a great time and were looking forward to the second leg. Palmerston North City Library on Saturday evening was possibly the highlight of the tour. The library is a great place to read, hosting numerous literary events throughout the year. The big windows feature poems by local Leonel Alvarado, and pedestrians have a way of peering in through the letters, wondering what’s going on in there. We’d decided on a dress up theme of ‘80s trash with our fabulous co-readers Helen Lehndorf and Jo Aitchison, which got us some funny looks in New World, but definitely improved our performances. Helen’s hair was particularly spectacular. We had a small crowd but a great vibe. A kebab and whisky party kept us awake until the wee small hours. Helen’s chickens laid us our breakfast, and we revived ourselves with bottomless pots of tea. Maria’s superpowers became evident when she managed to drive us safely to our last gig, Poets to the People at Hightide Café in Paraparaumu. The sun was setting over Kāpiti as we drank coffee and listened to the open mike. Again, this is an event that’s been running for years, and there’s a sense the regulars know and love one another. We went home to a beautiful roast cooked by Maria’s partner Joe. The tour was over, but the fight continues! We had some great conversations in the car over those two weeks, and some good catch-ups with family and friends along the way. There was a lot of fighting talk, a lot of laughter and also a few tears. A big part of the tour was affirming ourselves as poets, mothers and radical women, and by the end of it, our unimaginable greatness was hard to deny. This entry was posted in NZ poems, NZ poetry, NZ poetry book, NZ poetry event, Uncategorized and tagged Airini Beautrais, Elizabeth Morton, Emily Dobson, Freya Daly Sadgrove, helen lehndorf, Johanna Aitchison, Johanna Emeney, Kiri Piahana-Wong, Kirsten McDougall, Maria McMillan, Marty Smith, michael morrissey, Pip Adam, simone kaho, Siobhan Harvey, Steven Toussaint, tulia thompson on September 16, 2017 by Paula Green. Since I’m currently at work on presenting the people of the racing world through the vernacular, I’m reading non-fiction. 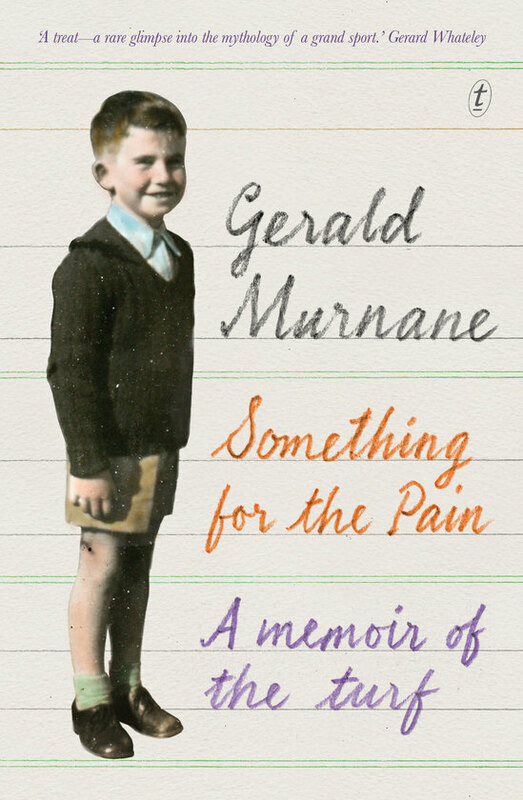 Gerald Murnane’s memoir of the turf, Something for the Pain is the last and quietest of my picks. I love his courtly phrasing and his acerbic humour, and his deep love and fascination with the racing world, which for him offers more than religion or philosophy. It doesn’t hurt that when he’s drunk at dinner parties he likes to argue that horseracing has as much to teach us as Shakespeare. On my waiting list is Voices from Chernobyl, the oral history by Svetlana Alexievich, presented through layers and layers of spoken witness. I was less than a 1000km from Chernobyl when the reactor blew, out in the air eating leafy greens and touching dust in the three days panicked authorities were hard on denial (the radiation levels are normal) and the nuclear cloud passed over, and rained on us. Therefore I have a lightly radiated interest of my own in the particulars, trivial as it is in the face of the terrible and compelling experiences of people who were less than 1km from the reactor and who were also allowed to stay outside. Anis Mojgani is coming to NZ for the Wellington festival. YouTube clip. Festival details. Full progamme out in January. This entry was posted in NZ author, NZ poetry, NZ poetry book and tagged Jennifer Compton, Marty Smith, Poet's Choice on December 19, 2015 by Paula Green. I don’t get much time to read poetry at the moment (well for the last 6 years really!) but whilst bouncing my #3 baby George to sleep in hammock for his naps rather than just sit there I have been pulling out some poetry and rereading it. 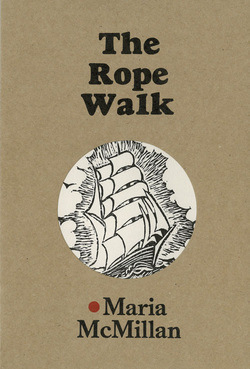 I just read Maria Macmillan‘s Rope Walk again, and I love it so much, everything about it (it is a beautiful object to hold). I bought it after hearing Maria read from it last year on Poetry Day in Unity Books. Now I will have to re-read Tree Space too! 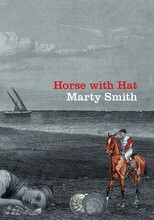 Have just been re-reading Marty Smith‘s Horse with Hat also. This entry was posted in Uncategorized and tagged Emily Dobson, Maria Macmillan, Marty Smith on December 15, 2015 by Paula Green. A new opportunity for young writers has emerged today. Starling (www.starlingmag.com) is an online literary journal that will be published twice yearly, accepting poetry and prose from only New Zealanders under 25 years of age. Submissions are now open for Issue 1, with a deadline of 20 October 2015, the issue to be published January 2016. Wallace is joined by Co-editor, Francis Cooke, and Schools Coordinator, Marty Smith, who like Wallace, are graduates of the International Institute of Modern Letters MA programme. Cooke’s short stories have been published in a number of national journals, and Smith’s first collection of poems, Horse with Hat, won the Jesse Mackay Award for Best First Book of Poetry at the 2014 NZ Post Book awards, and was a finalist in the poetry category. Smith is also a high school teacher, and will work with Wallace to deliver the journal as a resource for New Zealand teachers in the classroom. This entry was posted in NZ poetry, NZ poetry book, NZ poetry event, NZ poetry journal, NZ Poetry reading and tagged Louise Wallace, Marty Smith, Starling on June 3, 2015 by Paula Green.